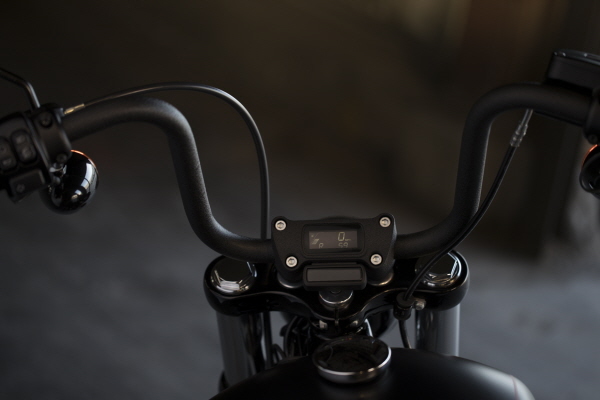 New school technology. 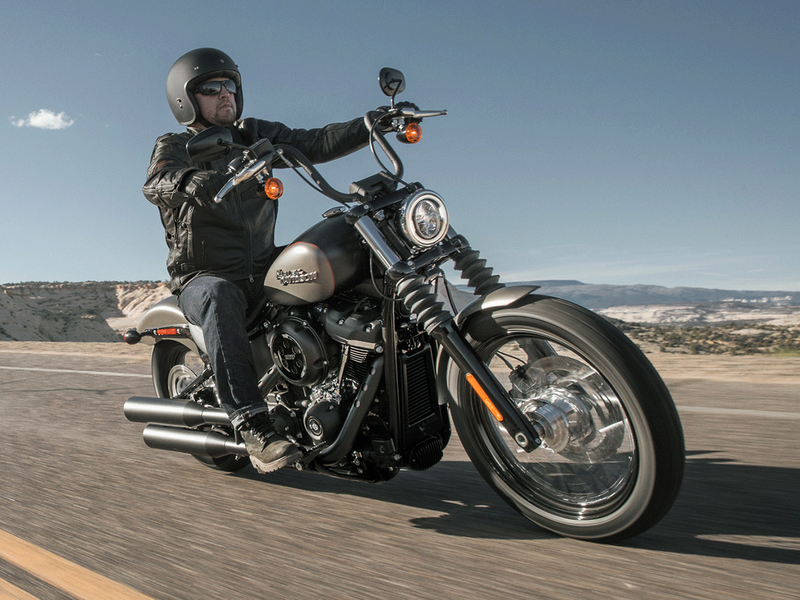 Skip school attitude! 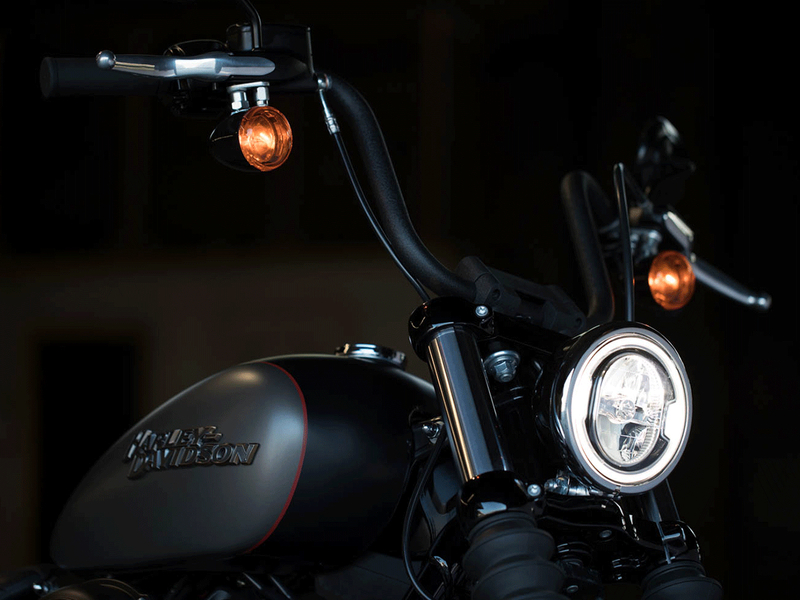 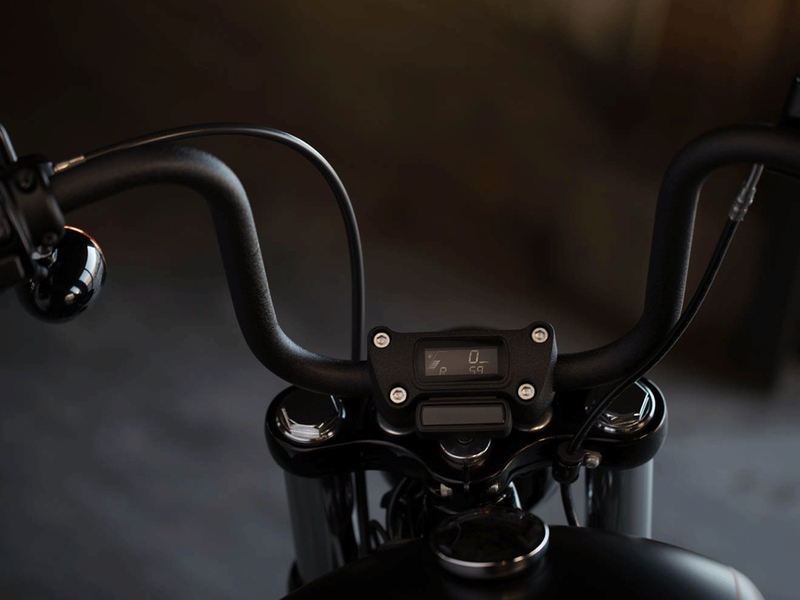 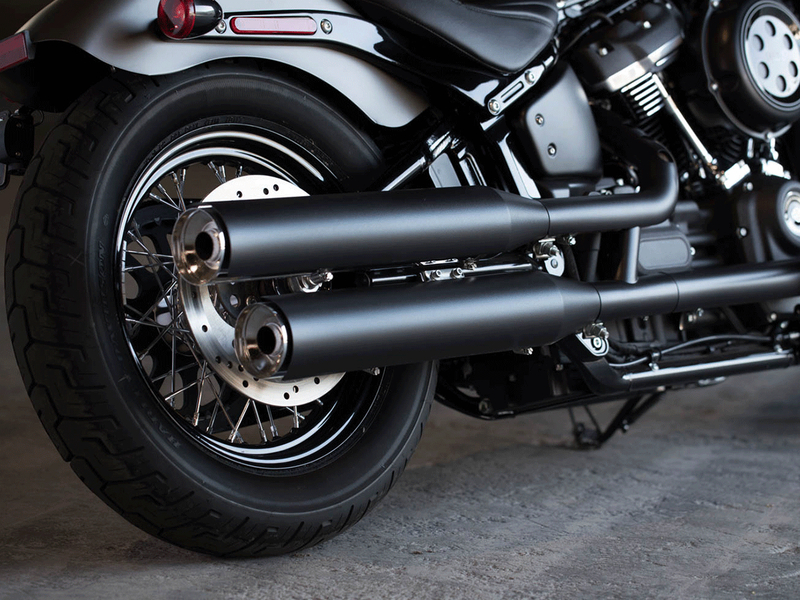 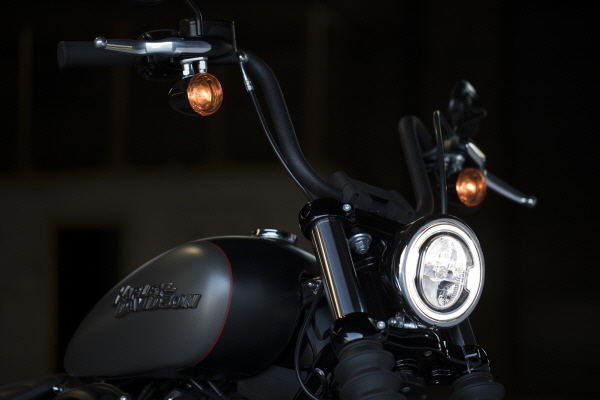 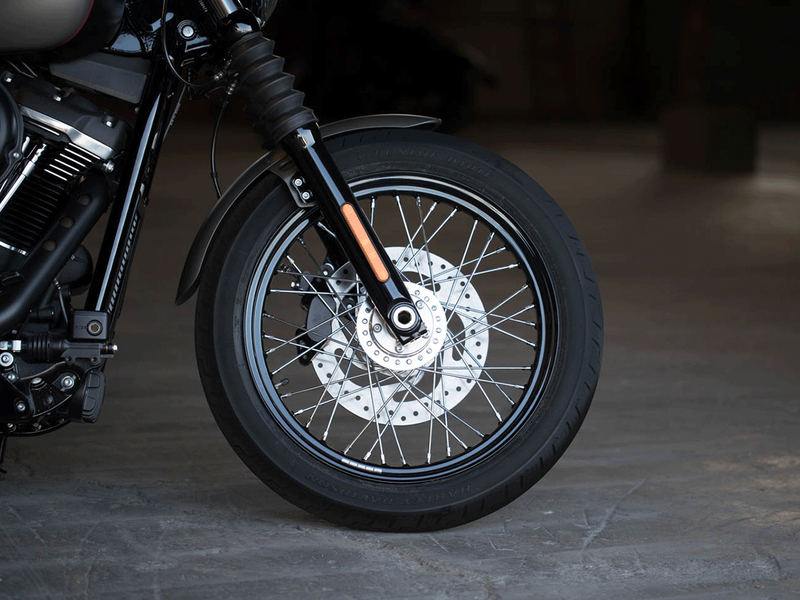 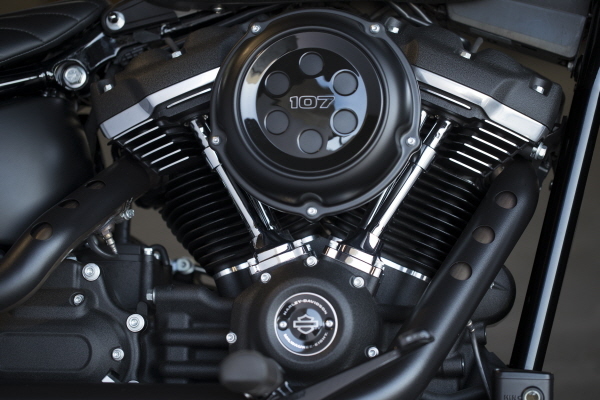 Straight-up, two-fists-in-the-wind attitude and no extra fat are the ingredients that went into the all-new, blacked-out Street Bob motorcycle. 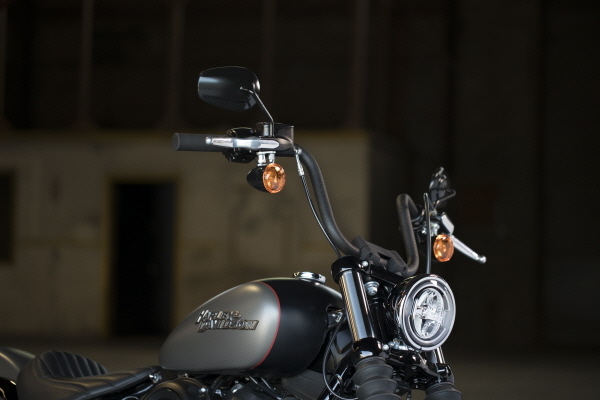 The first Street Bob Harley-Davidson presented for the 2006 model year and it proved to be a successful model right from the start, with its solo seat, center-mounted footpegs, mini apehanger, wire spoke wheels and many deep black components meeting every purist’s taste – and at an attractive price. 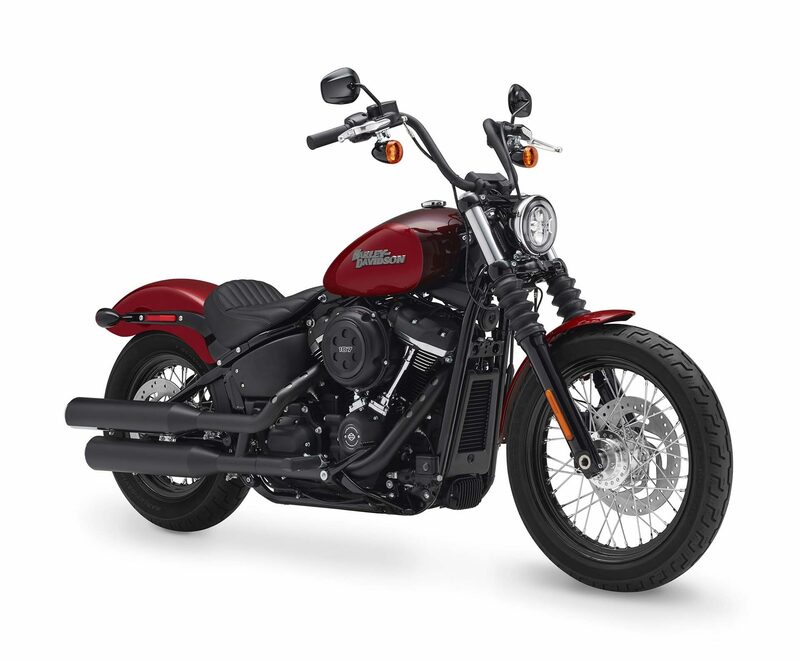 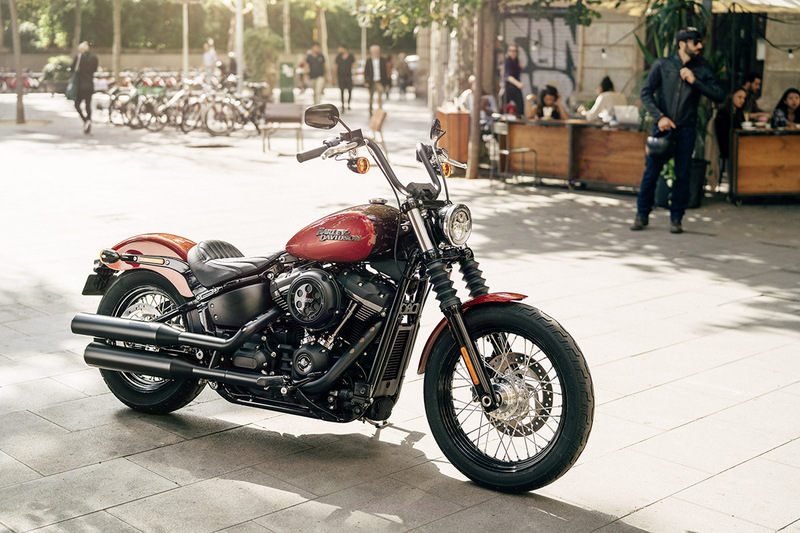 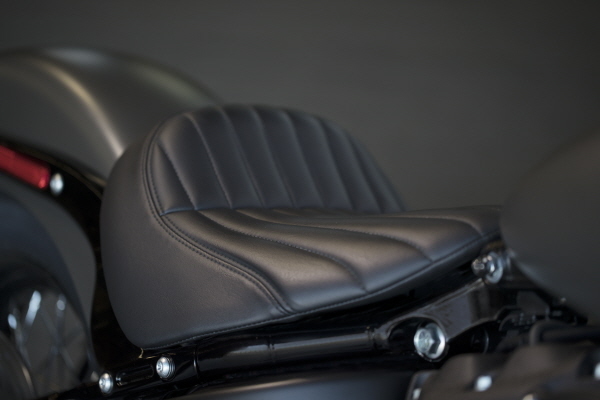 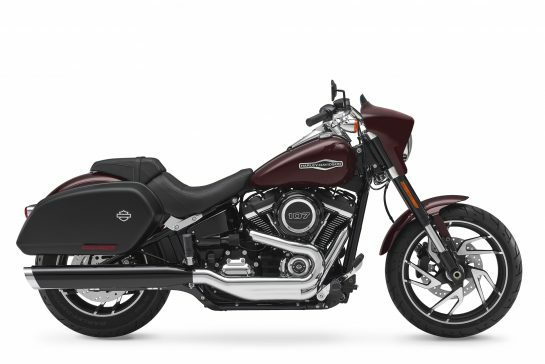 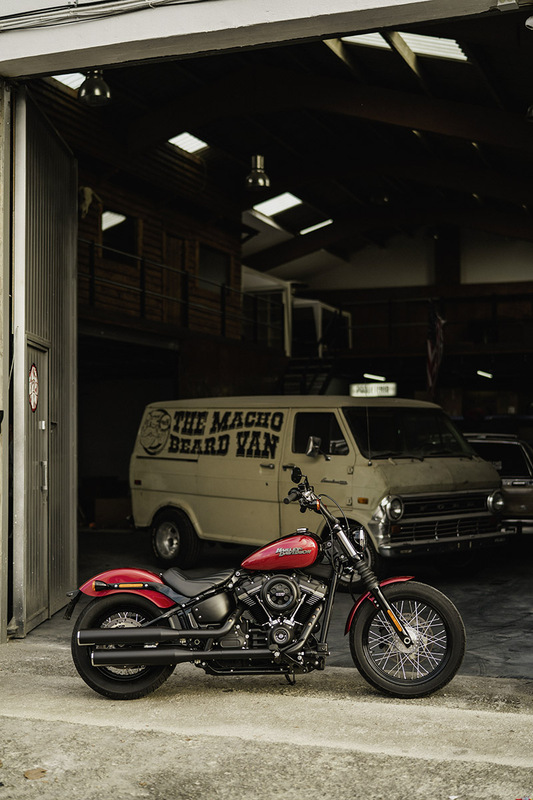 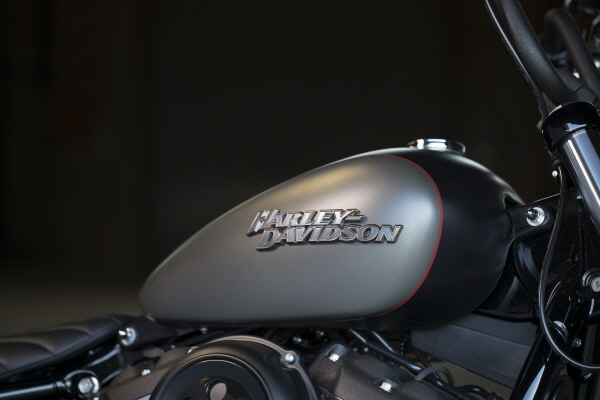 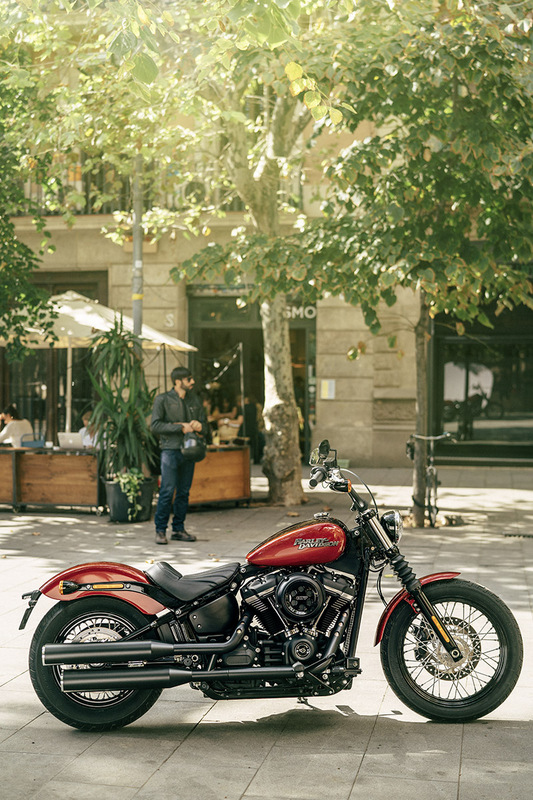 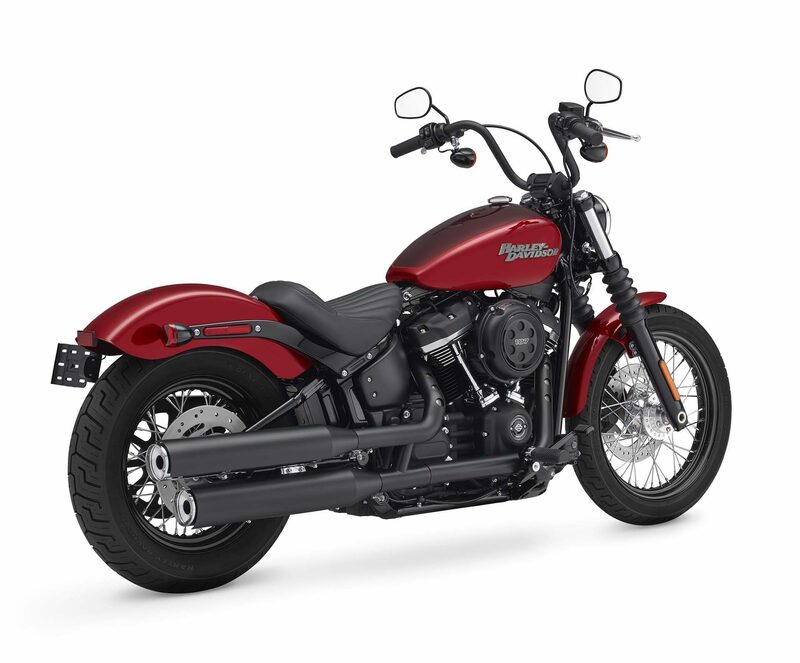 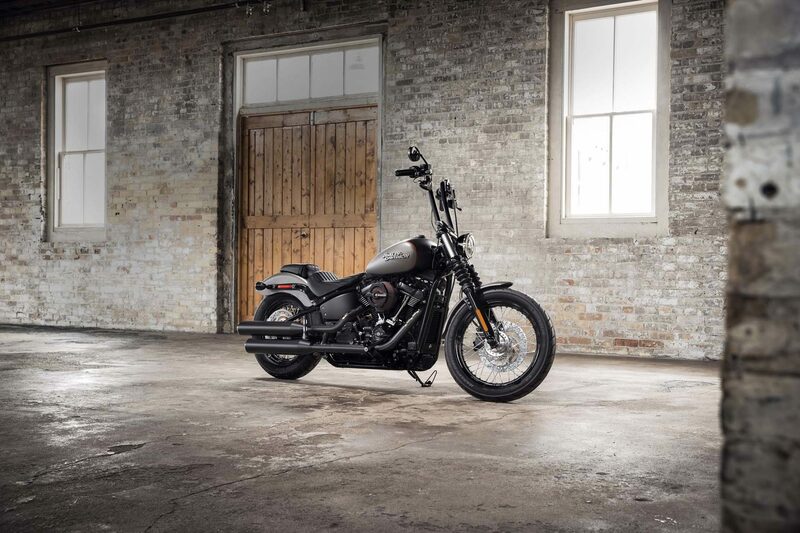 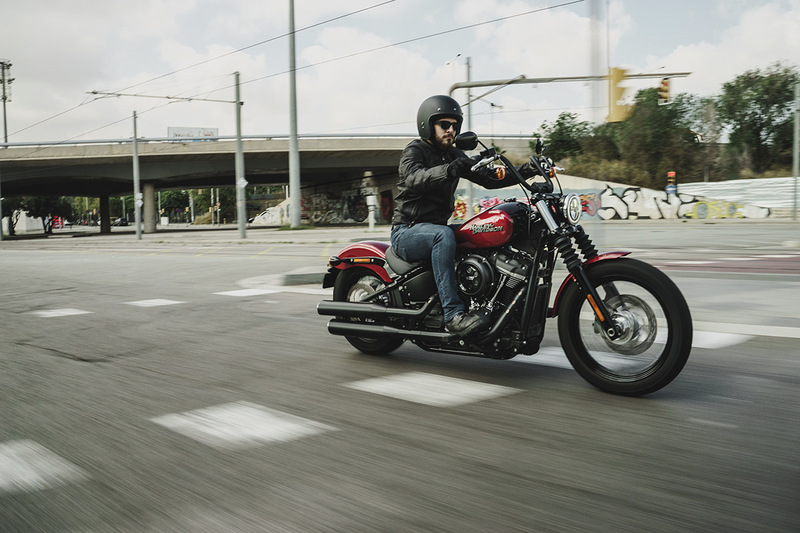 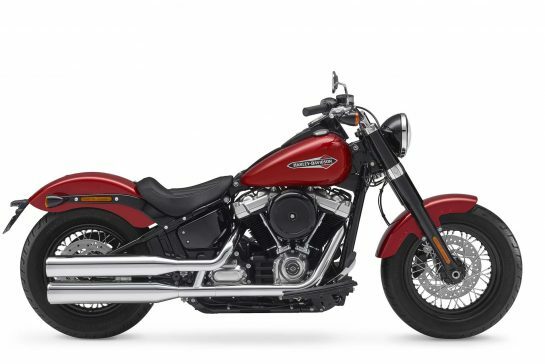 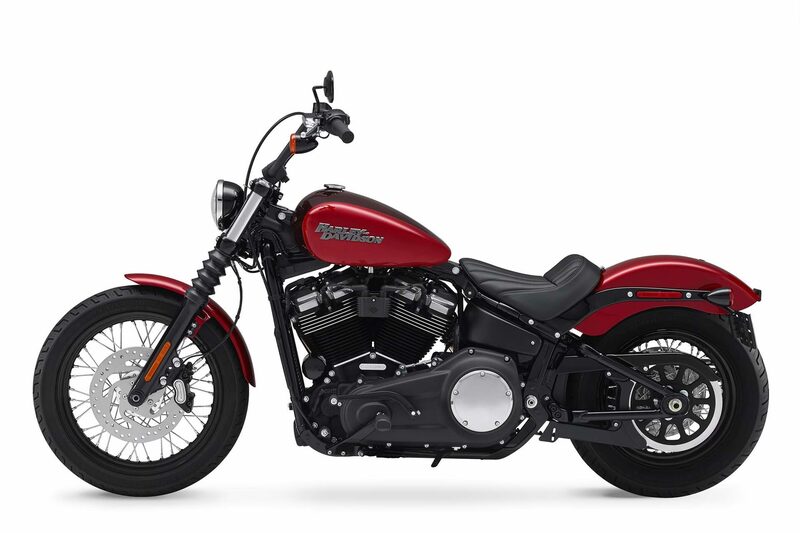 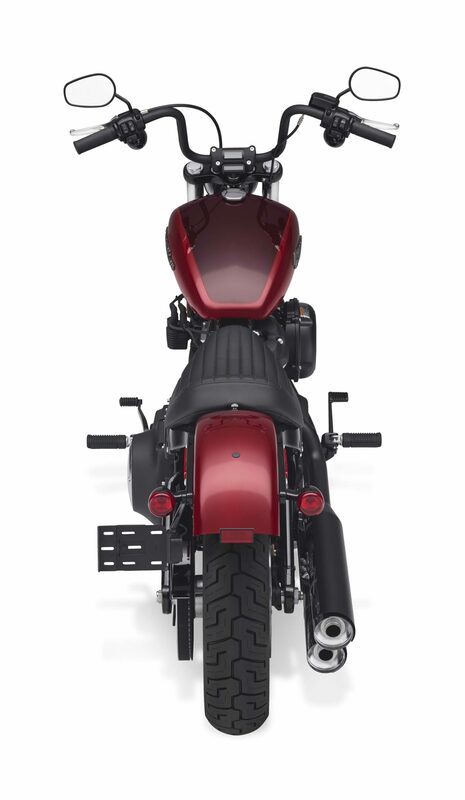 Their honest character will not change in the future, although the Street Bob for 2018 is a completely redesigned, 7 kg lighter motorcycle and has been integrated into the Softail series. 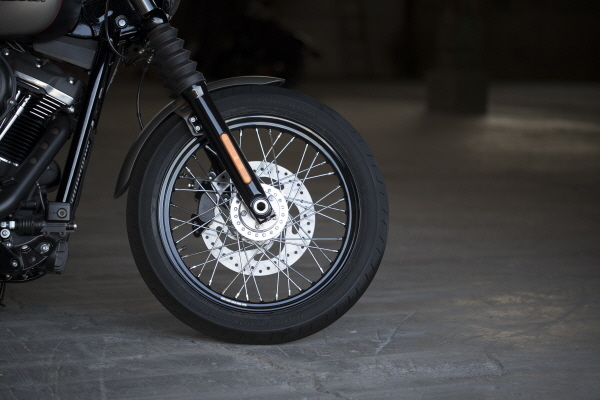 New suspension technology provides the performance of a racing-style cartridge for for reduced weight with linear damping characteristics.